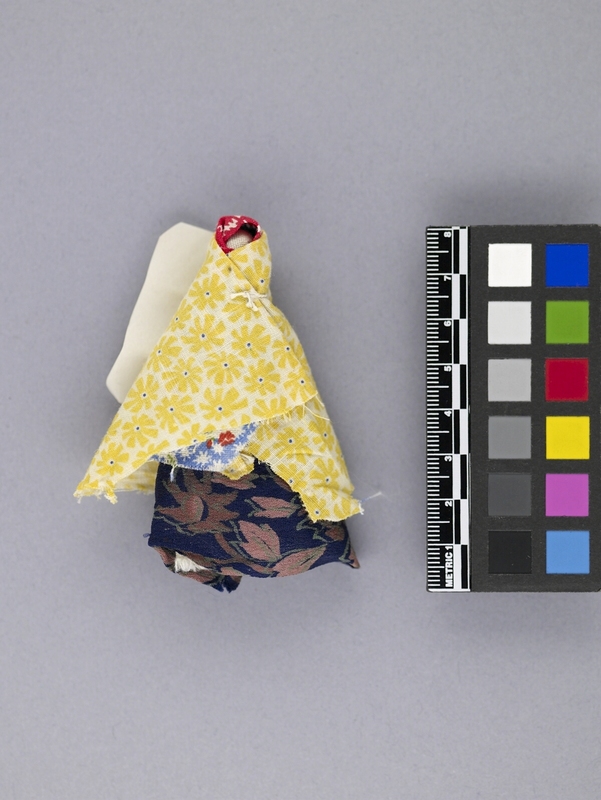 Item number 537/3 from the MOA: University of British Columbia. 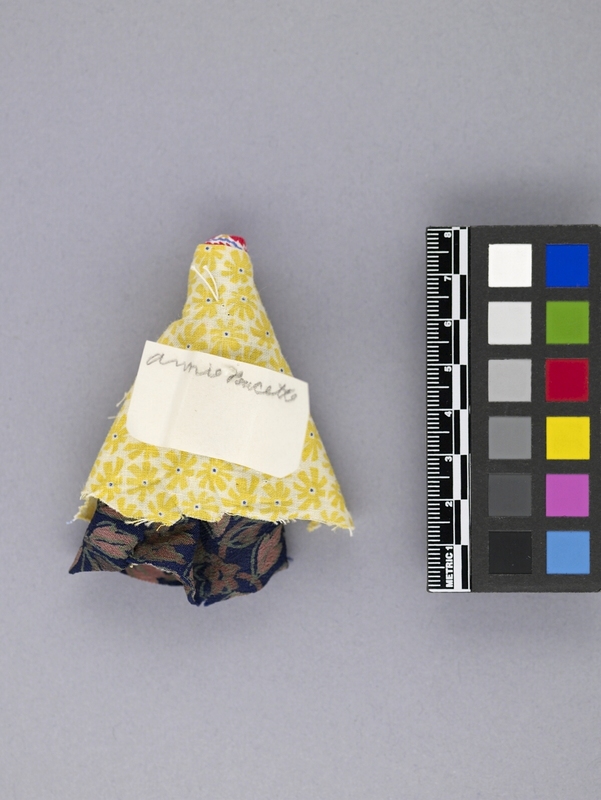 A tiny fabric doll with a skirt that has a pink floral print and green stems on a dark blue background and a white star print on a light blue background underneath a yellow floral print on a white background wrapped around the upper body. There is a red and white print hood over the white face without facial features.